Yesterday I was invited to testify about housing supply at the inaugural meeting of the Senate Committee on Housing. I was joined by Mike Kingsella, Executive Director of Up For Growth. 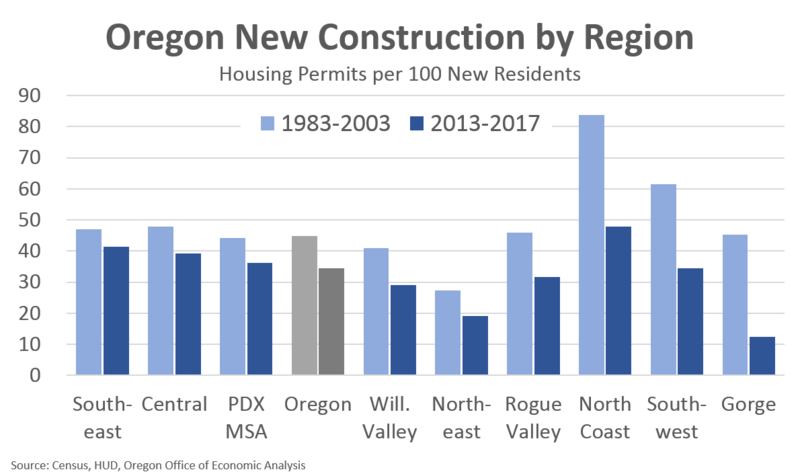 Combined, the two of us covered the low levels of new construction, housing supply constraints, affordability being a statewide problem, and one reason our office cares so much is the risk that affordability may potentially choke off migration flows, lowering our longer-run forecasts for, well, everything. In the ensuing discussion, Senator Golden asked a number of questions in which I should have done a better job articulating my answer and our office’s research. This post helps clarify and expand upon those questions. The problem with supply is due to regulation which never seems to be addressed as well. 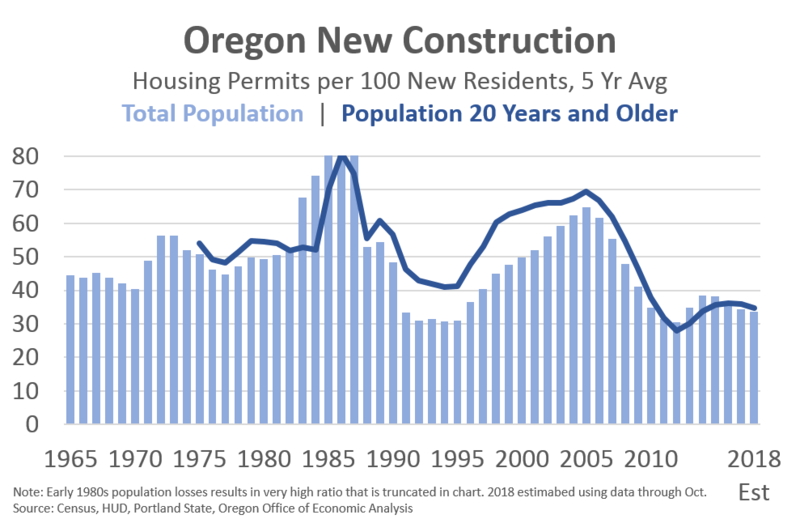 Permit costs are passed onto the consumer and then the municipality which demands more affordable housing does not correlate this figure. 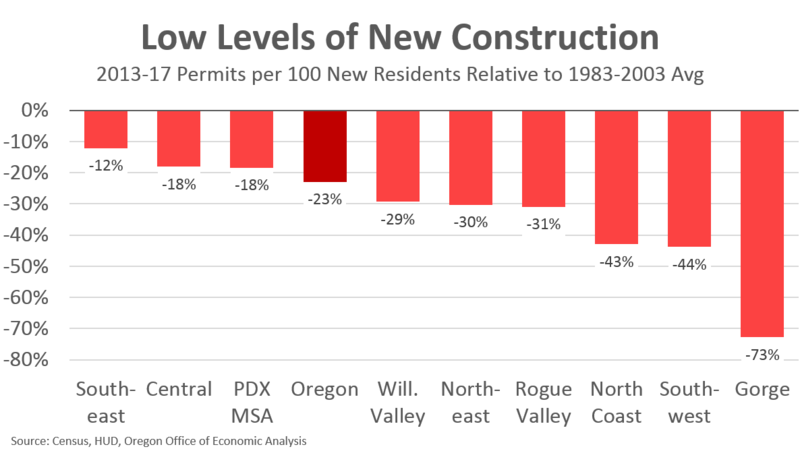 Secondly, places such as Washington County are building large amounts of homes, issuing permits but not building the infrastructure to handle it sufficiently which will bring down the comfort level of living tremendously in the future. Thanks Dustin. There’s no question there is a balancing act in terms of providing services, adequately funding those services, and affordability. We have seen things like SDCs rise so that new growth “pays for itself” whereas this hasn’t always been the case historically.